Shiner loves her PetBox so much, she wishes she could get one every day and not just once a month. Have you entered this month's PetBox Giveaway yet? It ends on Friday April 25th so hurry on over to enter! Dogs AND cats are welcome to join the giveaway. 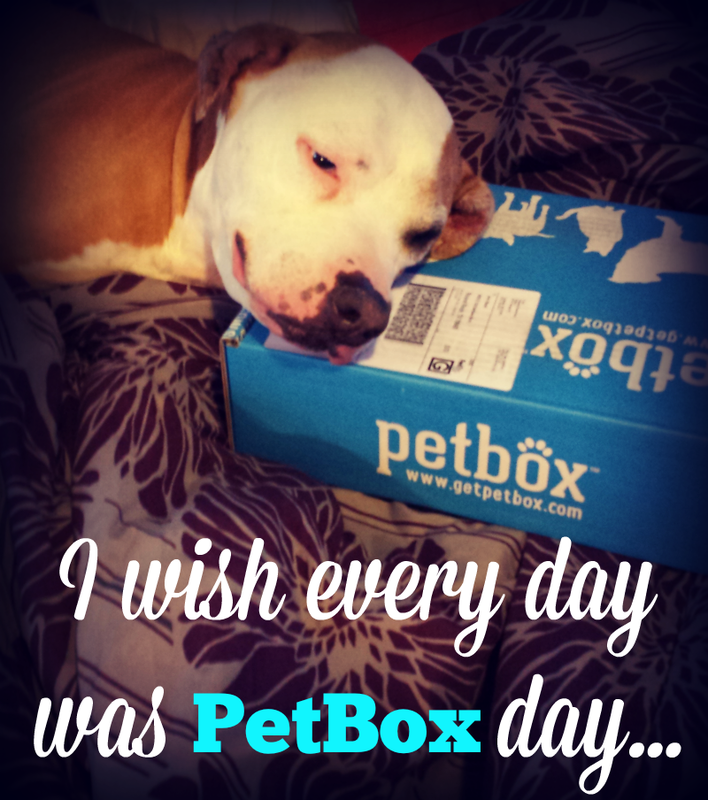 And as always, you can save 10% on your PetBox subscription by using the discount code "PAWSITIVELY" at checkout. Alas we have no petbox, big sigh. Have a wonderful Wednesday. Yes, she's been eating them everyday! BOL! Oh Shiner...you would get bored with your PetBox if you got one every day. You are too cute! Maybe Oz. But treats and toys are always fun! We just wish we could get one! Lady said maybe when the treats no longer take up 2 cupboards . . . sigh! She is just so unreasonable. Ha! I have a similar problem guys. OMC you could make a whole house out of the boxes! A cat's dream! Awwwwe....too cute! She is precious! That would really be fun Shiner! Shiner is adorable..what a sweet pup! Ha ha, yes, I do think the animals would go for a daily (or even a weekly) box!